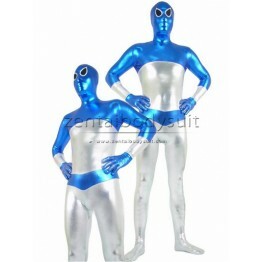 Shiny Metallic Zentai Suits are made of metallic lycra. 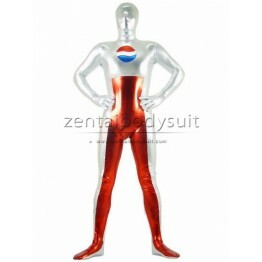 The feature of good photometric brightness makes this style zentai very shiny under the light, so metallic zentai catsuit is very suitable for parties and some similar occasions. 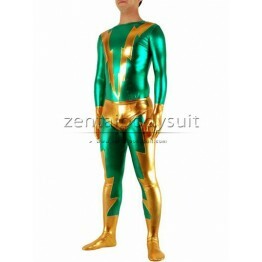 This metallic suit is made in one-piece design. The back has the same green pattern. Shoes are exclu..
Color: Black And Red Pattern: No Fabric: Metallic Surface: Matte Air Permeability: Good E..
A long zipper has been added in the back, from head to waist. Fabric for making the costume is unabl.. 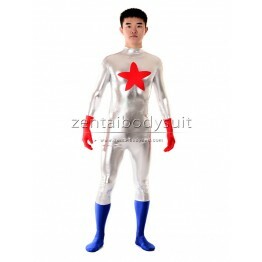 This Superhero Costume is an one-piece design. The back has the same pattern as the front. Made of m.. This fabric can't be washed. No mask. The V pattern is only on the chest. Gold shorts are detachable.. 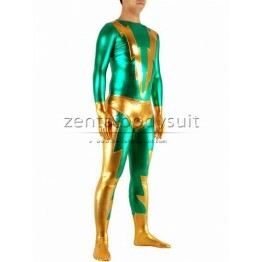 This superhero costume will make you outstanding in your parties, like carnival, costume parties, ma.. 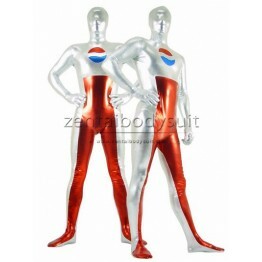 This metallic suit is made in one-piece design. The back has the same White And Blue pattern. Shoes ..